Elena Gorfinkel will deliver a keynote at a symposium, “Quality Trash” held by the Visual Studies Department at the University of California-Irvine on March 10th. The Department of Art History was featured in the February 2016 edition of the College of Letters & Science In Focus monthly newsletter. Derek Counts received a Center for International Education/Office of Undergraduate Research Grant to support travel for Kayla Olson (UWM undergraduate) and himself to study and document excavated material from Counts’s archaeological site of Athienou-Malloura in Cyprus. 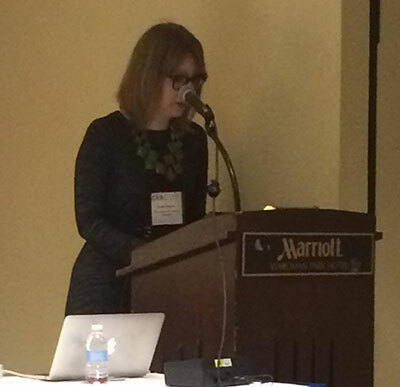 Visiting Assistant Professor Sarah Schaefer chaired a panel at the 2016 College Art Association Annual Conference on Saturday, February 6th. On Tuesday, February 10, 2016, the UWM Art History Gallery hosted Art Exposé. On January 29th 2016, Associate Professor Elena Gorfinkel gave a keynote lecture, “Walking Still” concerning Tsai Ming Liang’s “Walker” series of films, at the University of Florida’s Film Studies Symposium, hosted by the Film Studies Program, English Department, and held at the Harn Museum of Art in Gainesville, Florida.